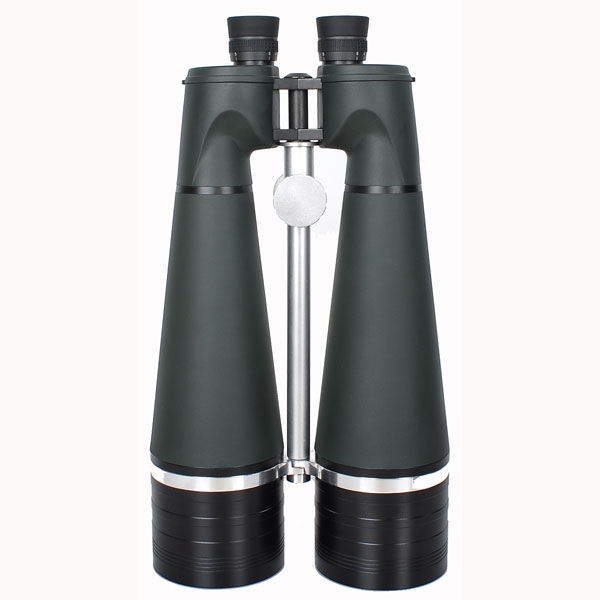 Due to the undersize prisms for most of Chinese giant binoculars, the true aperture is smaller than the claimed or "theoretical" one. 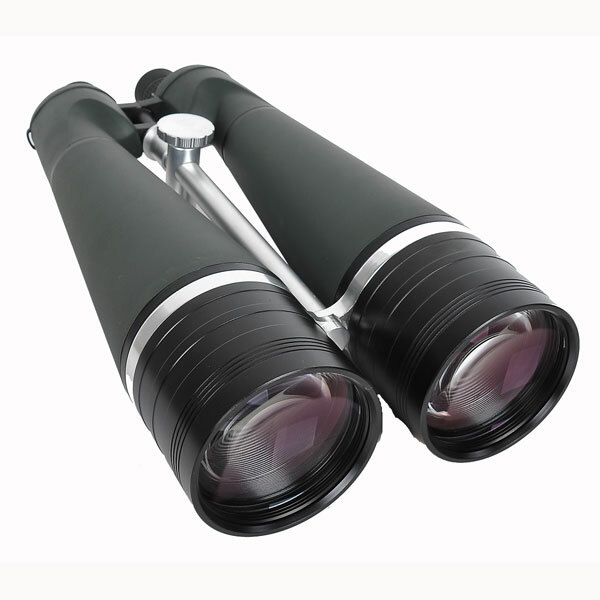 For example, the true aperture of most of 25x100 binoculars is about 88mm, not the objective size 100mm. 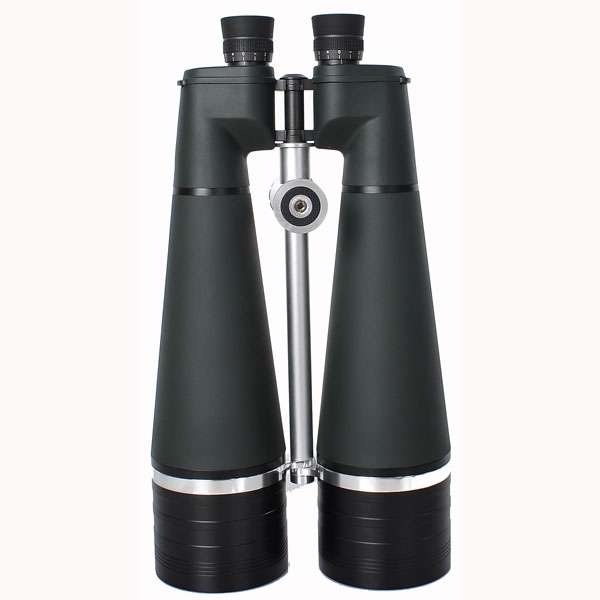 25x100 HK uses oversize prism and its true aperture is pushed to about 98mm, very close to the theoretical one. 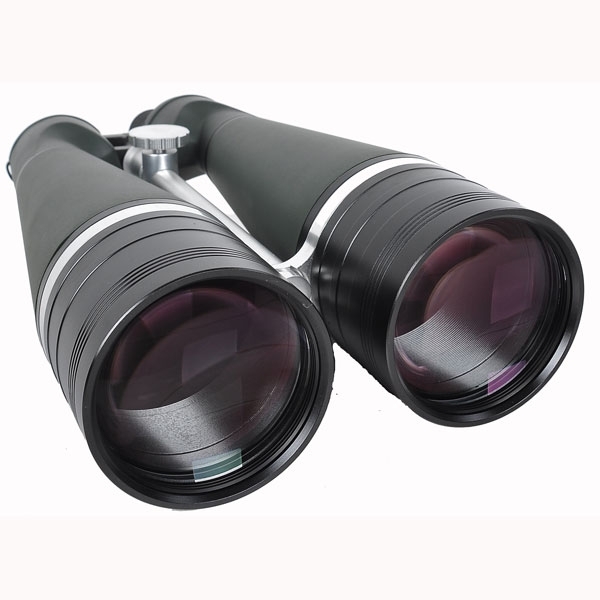 A binoculars with 98mm true aperture gathers about 20% more light or 20% brighter than the one with 88mm true aperture - which makes big difference. Another rare feature that 25x100 HK has is the field flattener in the objective assemblies. Field flattener are used to lower the pincushion and barrel distortion and improve the edge sharpness. 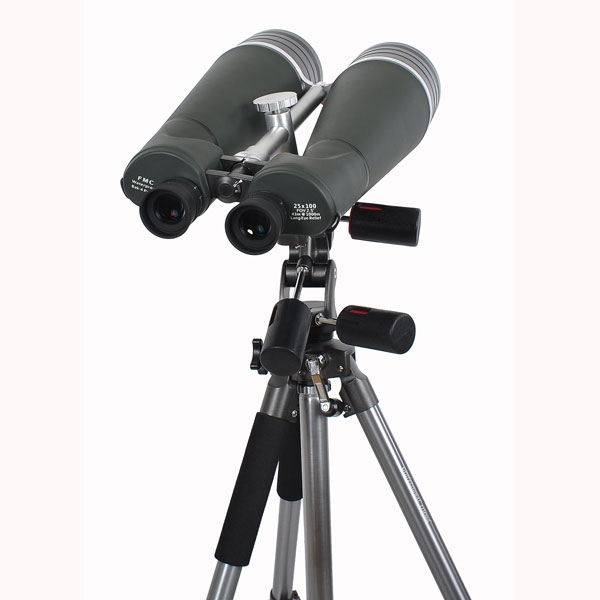 With outstanding performance, 25x100 HK is a giant binocular for the amateur astronomers who want to try some two-eyes viewing. 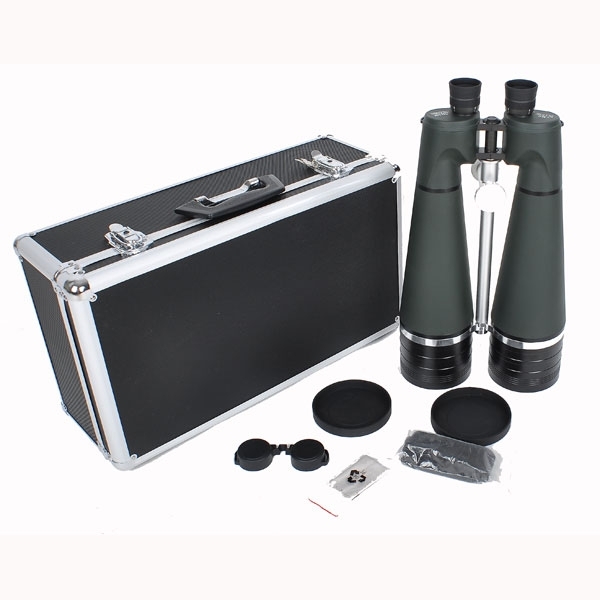 25x100 HK comes with the alum case.